Did You Land on this Page Seeking Documentation that 3 Million Illegal Immigrants Voted for Hillary Clinton? (We at Votefraud.org and ElectionNightGatekeepers.com had never heard of Greg Phillips when infowars.com carried an article circa November 14, 2016 reporting that Phillips had stated in a Twitter Tweet that, — claiming to having analyzed a database of 180 million voters, — 3 million illegal immigrants voted for Hillary Clinton. In the article by Paul Joseph Watson, which you can read by clicking here — Votefraud.org was incorrectly listed as Greg Phillips’ website. The best we can find is that http://thecause.voterstrust.com/ is Greg Phillips’ real website. On this page: http://thecause.voterstrust.com/issues/1#start if you scroll down a bit you will find a story entitled, “Hillary Clinton’s Plan for Victory: Register 3 Million New Voters”. In the description of the article it states, “Clinton hopes to register 3 million illegal voters” – a statement not backed up by either that short article, or by the Breitbart article it links to. 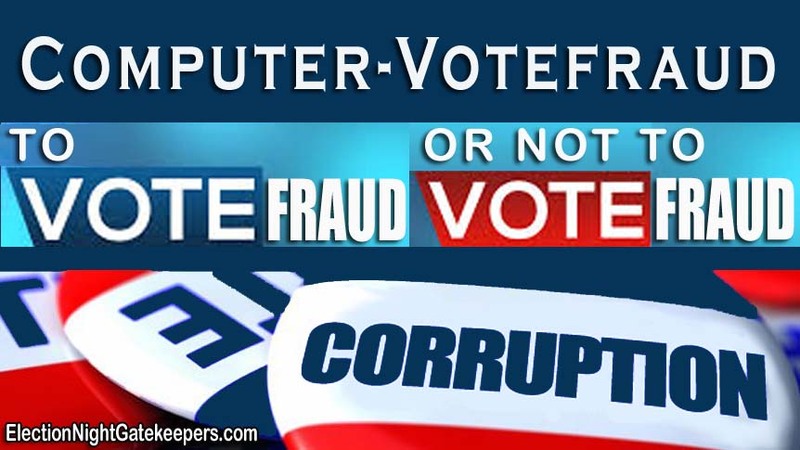 While illegals must be stopped from voting, of course, the information on this website (ElectionNightGatekeepers.com) about the danger of computerized election fraud from the 3 mega-election VENDORS that process 99% of the USA vote on secret computer programs, with the shameful permission of all 50 Secretaries of State – is even more important as well as ESSENTIAL for every American to grasp and understand. 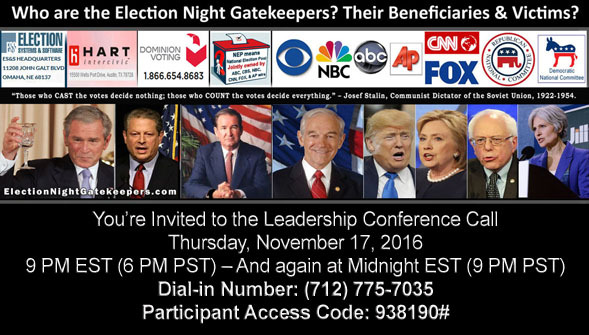 See the “ElectionNightGatekeepers.com” menu tab and the “Election Solution” menu tab also on this website, ElectionNightGatekeepers.com. Since many of you have come to this website because “votefraud.org” was mistakenly listed in the infowars story, this page is our best effort to explain what happened to bring you here, and what can be verified at this time.